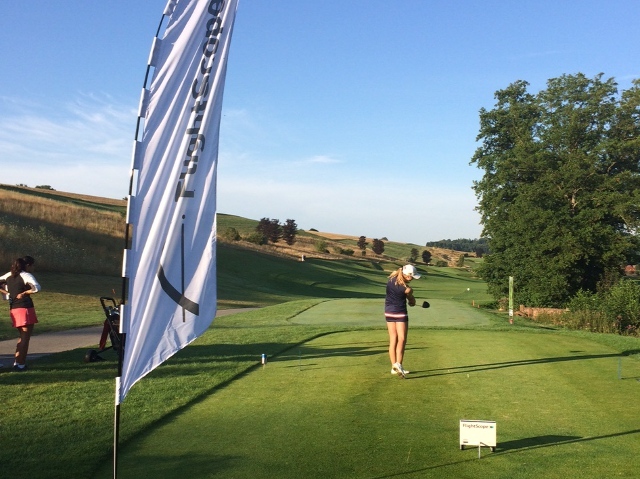 In the 13th edition of the RB German Junior, players experienced its new home, the Golfclub Heidelberg-Lobenfeld. The challenging, recently redesigned, course was in immaculate shape. The tournament week had a forecast of immense heat and with the hilly setup the three tournament days required a lot from the young players. On the 4th of August the race for the prestigious major of the Global Junior Golf Tour began with great golf expected from the international field. Rain, wind and heat allowed only one player to break par for the course on day 1. Nathan Longley (England) lead the boys division with a 71 and the 14 year old, Nina Lang (Germany), with an astonishing performance of 72, lead the girls division. On the second day there was a change of lead and players still needed to deal with difficult pin positions. In the girls division there was a three way tie for the lead with Chiara Tamburlini (SUI), Nina Lang (GER) and Natalie Wagner (GER) on 148 shots (+4). Marcus Helligkilde (DEN) finished the day in the lead with a total of 145 shots (+1). In the evening players came together and spent some time at the traditional players' night of the RB German Junior at the Hotel Villa Toskana. A wonderful buffet was served for the players and was followed by a presentation where players had the chance to meet the sponsors of the RB German Junior. The upcoming venues of the Global Junior Golf Tour were announced as well. 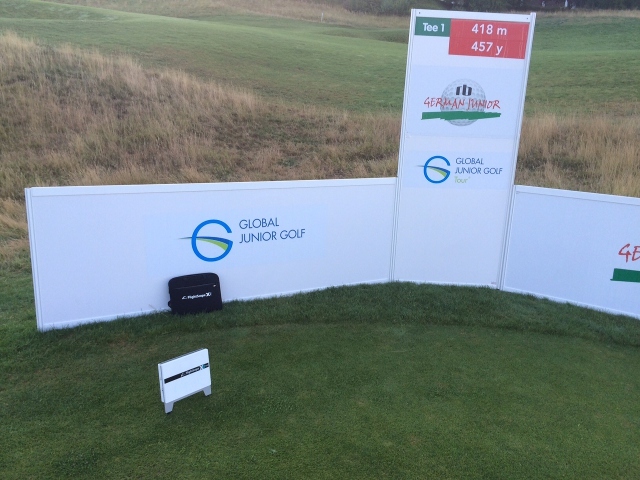 The Global Junior Golf Tour set its goals to provide the players with the most valuable help and information for their golf career. To this end selected sponsors of the tournament took their time and provided the players with valuable data. 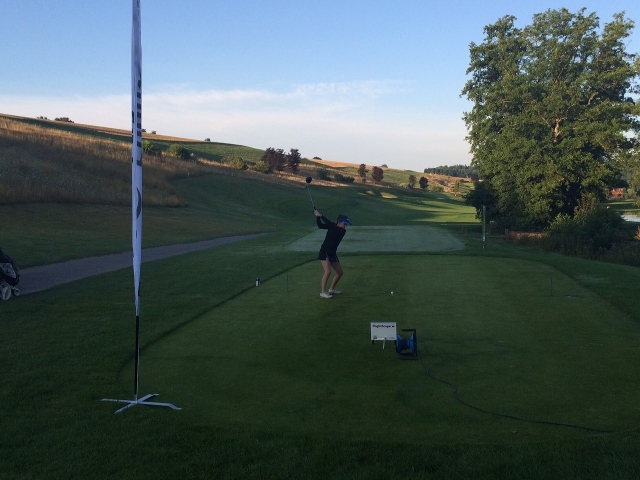 FlightScope made a great effort to capture swing data on the golf course, at the tournament, and gave the players a taste of what it feels like to be a rising star on a professional level. Mr. Jef Carr, CEO of FlightScope Europe, analyzed the players data, gave them an idea where they stand in comparison to professional golfers and what needed to be improved upon to reach their level. Furthermore BTS (world wide leader in measurement of muscle activity), Five Concepts and Eat Performance (German startup for Paleo nutrition concept) introduced themselves to the players. On the final day spectators witnessed the players attacking the pins and striving for the title. The players were rewarded for taking risks as the most rounds breaking par were played on the third day. In the top 6 of the boys division scores of 72, 70, 70, 69, 68 and 68 had to be posted to claim the win for the 13th edition of the RB German Junior. Marcus Helligkilde was able to defend his day 2 lead and finished with a total of 215 (-1), followed by the winner of the Curro South African Juniors International 2015, Altin van der Merwe with 217 (+1) shots. The three way tie for the lead, of the girls division, after day 2, set up an exciting final round. Anna-Maria Diederichs (GER) climbed up the leaderboard and finished in 2nd place with a total of 225 (+9) shots. Natalie Wagner (GER) secured her first title and closed the tournament with a strong 73 for a total of 221 (+5) shots. 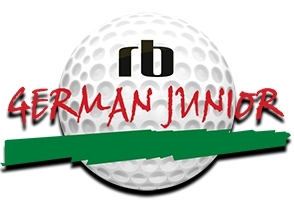 The RB German Junior and Global Junior Golf would like to thank all the sponsors (RB Dental Solutions, Under Armour, Odenwald Quelle, U.S. 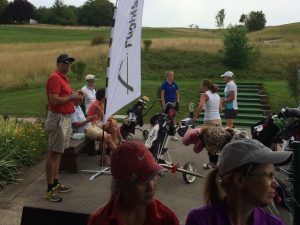 Kids Golf, Ping, FlightScope, Billig Banner.de, All Star Riegel, BTS, Fuchs & Möller, Eat Performance and Five Concepts) and all the supporters for making the 13th edition of the RB German Junior happen.